King George, a Luxury Collection Hotel has one of the best breakfast view in town. We arrived here at night, so, we didn't get to see much. But, in the morning, the breakfast view here was definitely a winner. It’s up on the 7th-floor with a terrace view of the Acropolis. Built in the 1930s, King George Hotel comes from an era of old world charm. It’s in such a good spot too, just 2-minutes walk from metro, 1 km from the Parthenon and 2 km from the Acropolis of Athens. What I particularly love is that King George Hotel rooms feature antiques, timber floors and marble bathtubs. Although our room was just outside the bustling street of Athens, we had a wonderful nights sleep. 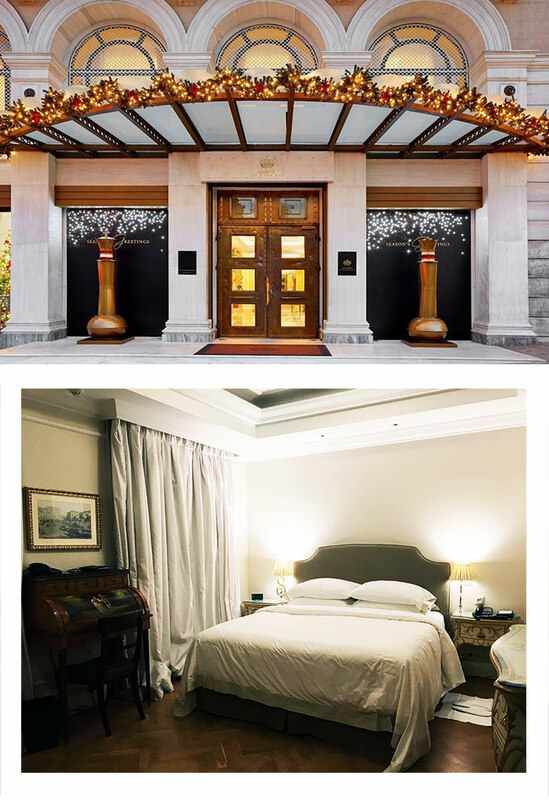 Photo Credit : King George, a Luxury Collection Hotel (first images) and May Leong (second image). Thank you for having us, King George Hotel in Athens. I have to say this is one of the most memorable breakfast I ever had in Europe.